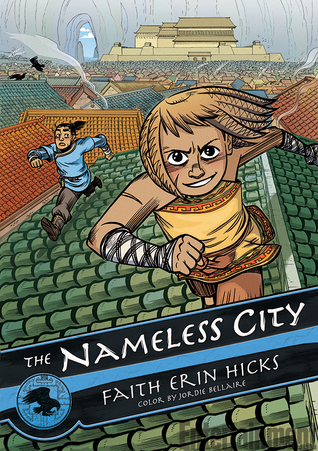 My students love anything presented in graphic novel form, so they would probably read this. As a more discerning reader, I want more from a book. This is too bad, because a fictional ancient civilization would fit in so well with what I teach. I never got attached to any of the characters. I suppose the girl, Rat, was likable, but seemed to be a generic heroine. Faith Erin Hicks' illustrations were a bit rough for me, as well. Not much to say except I was disappointed and won't be recommending this book to my students.